Group Saloum is Boston's hottest Afro-pop band. 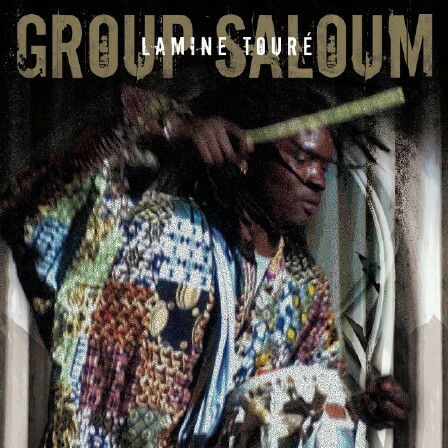 Founded by world-renowned griot percussionist Lamine Touré, Group Saloum fuses Senegalese mbalax with elements of jazz, funk, reggae, and Afrobeat. Group Saloum performs original mbalax music highlighted by the infectious rhythms of Touré's sabar drums, drawing upon the collective creativity of some of Boston's most talented musicians. "From Boston, a spectacular afropop act specializing in, but not limited to, Senegalese mbalax." "Lamine Touré and Group Saloum kick out a hard-hitting dance mix that spans the percussive fury of Senegalese mbalax and the joyful uplift of Congolese soukous"
"Whatever your pleasure this album has got it. Group Saloum is a tight group made of some of the best musicians in Boston. For a city boasting hundreds of music conservatory and grads, this says quite a bit. Their polished act will definitely be thrilling live concertgoers for years to come." Check us out on MySpace as well! The band's self-titled first album is available online from Amazon.com and www.calabashmusic.com. The CD was recorded by ASCAP-winning producer Dan Cantor of Notable Productions, and is released and distributed by Nomadic Wax. Click below to enjoy the first three minutes of Mbaye Saar, from Lamine Touré & Group Saloum's first album!